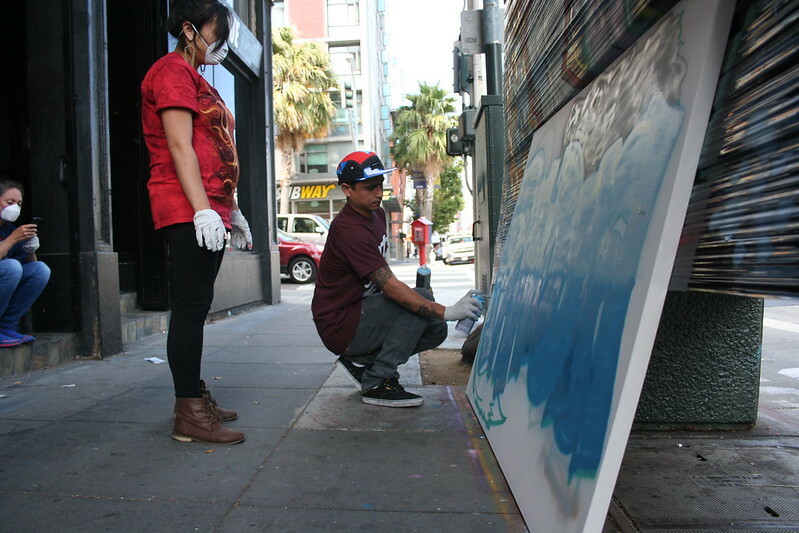 Home/Events, Graffiti Art, Mural Production, Team Building Workshops, Uncategorized/Pandora goes can crazy! When Pandora‘s team arrived at the gallery, they already seemed prepared for an afternoon mixture of team bonding and art with their matching wolf pack shirts on. And they proved us right! They produced their final mural on canvas and decided to have it emblazoned with their company’s name, turning out incredibly. If you’d like to know more about our team-building workshops in general or the packages we offer, email us at privateevents@1amsf.com!